Art + design. Pattern obsessive. UX Night School is a user experience and design research program started by Amelia Abreu. The program aims to provide a flexible learning environment for students with a wide range of backgrounds. The workshop series centers around usability and interactive design thinking processes in a collaborative setting. These lessons are a valuable resource for the ux community in Portland and for professional development. 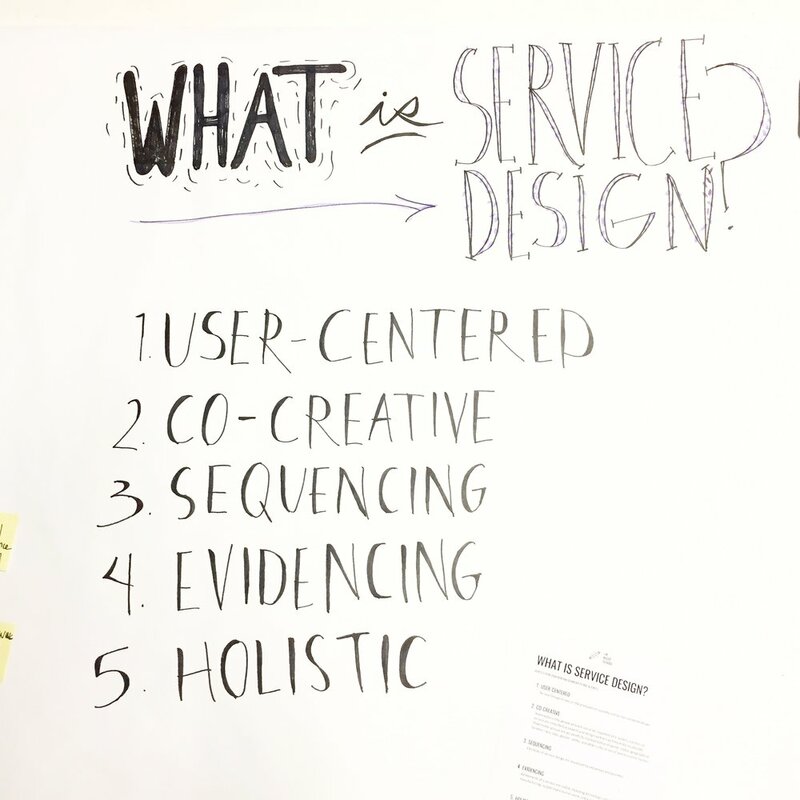 What is service design? 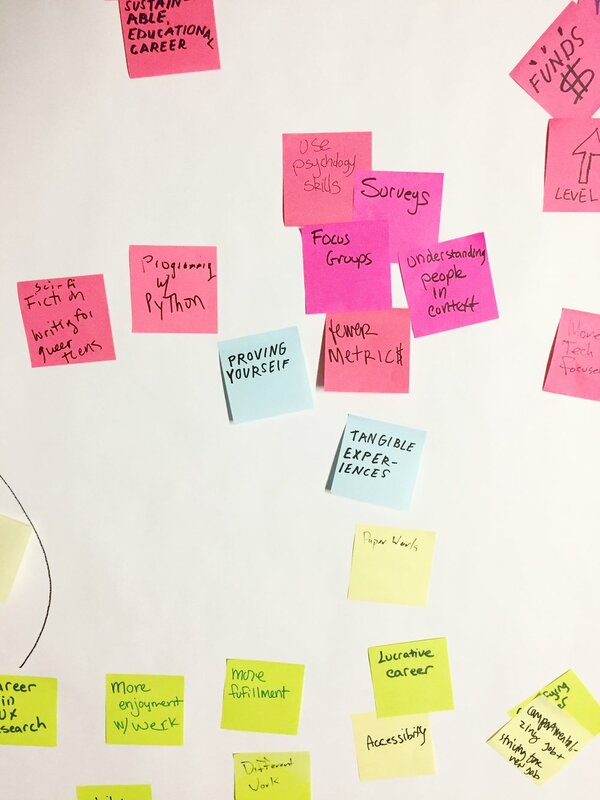 A design thinking approach to problem solving using human centered design methodologies, participatory practices, and marketing techniques. What is prototyping? An iterative design process creating rough sketches / ideas on paper. From here we built out our prototyping narrative using color coded sticky notes. We began by sharing professional experience, short term goals, and barriers. We created an initial sequencing to identify linear professional progress and corresponding barriers. As we progressed through the exercise we developed nonlinear models of barriers to professional growth. Using a low fidelity model encouraged a more interactive approach to understanding service design. This is a vital investigative process for any ux / design project. It is necessary to define demographics and limitations to determine effective usability. Establishing a working blueprint should occur before personas are developed and consideration needs to be given to both digital and physical flows. 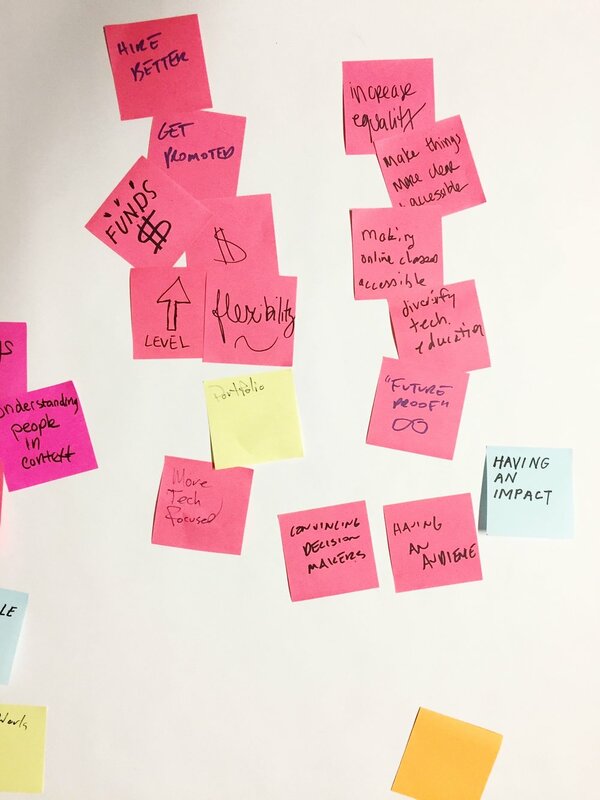 This workshop highlighted the value of collaborative design thinking – it's almost impossible to identify a diverse range of limitations from one person's professional experience. Service design prototyping is a powerful tool for future proofing and providing a platform to advocate for others. All work © 2017 by Hannah Lee.